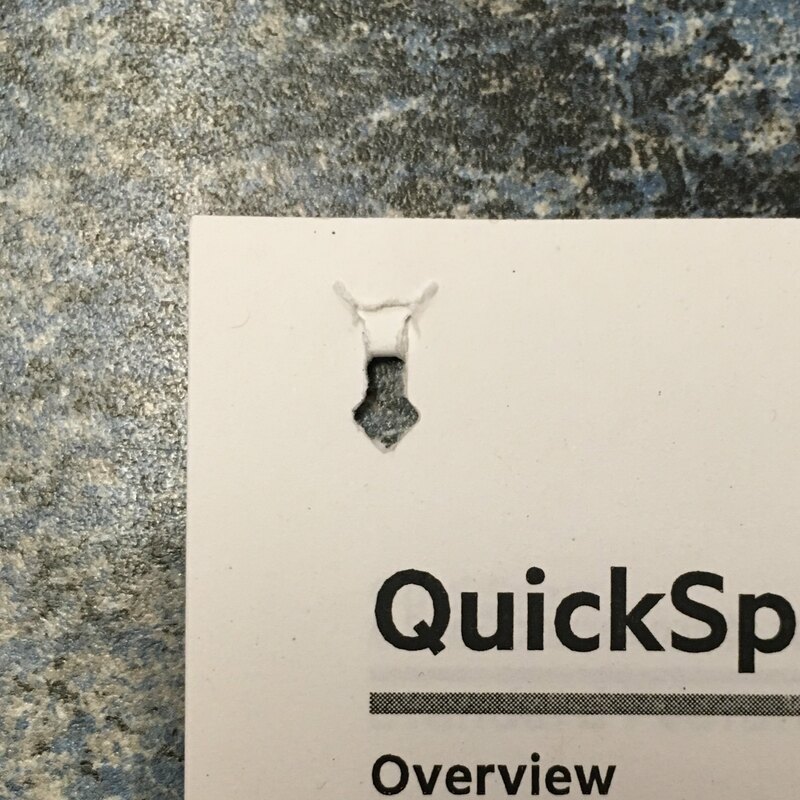 I’ve been using stapleless staplers for quite a while and have a clear favourite, but in this blog, I didn’t really give them the attention they deserve. It’s time to change that with this blog post. 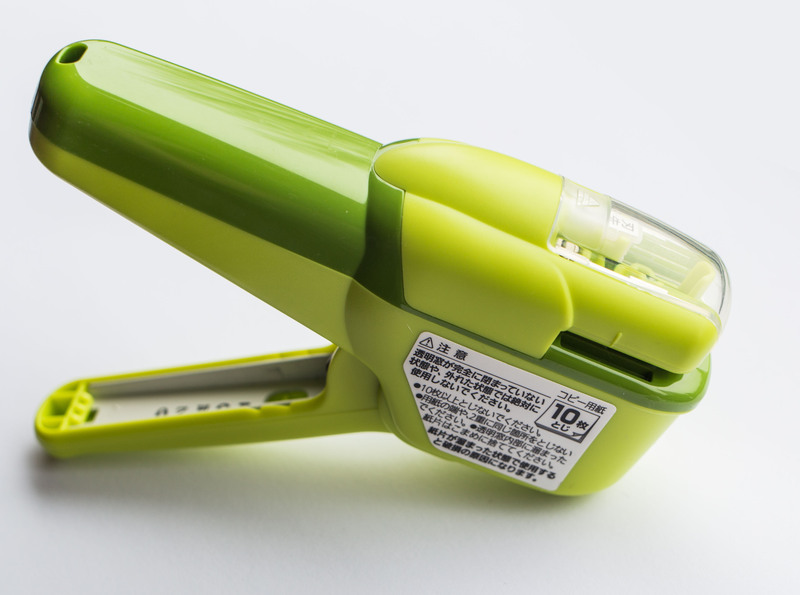 My most commonly used stapleless staplers are from Kokuyo / Harinacs. You can see them in the photo above. Kokuyo itself is a Japanese company that can trace its root back to 1905. They are linked with many companies and brands… not only with Harinacs, also with Camlin, the Indian pencil manufacturer, and with Gambol – you can see Kokuyo Gambol paper in this recent blog post. 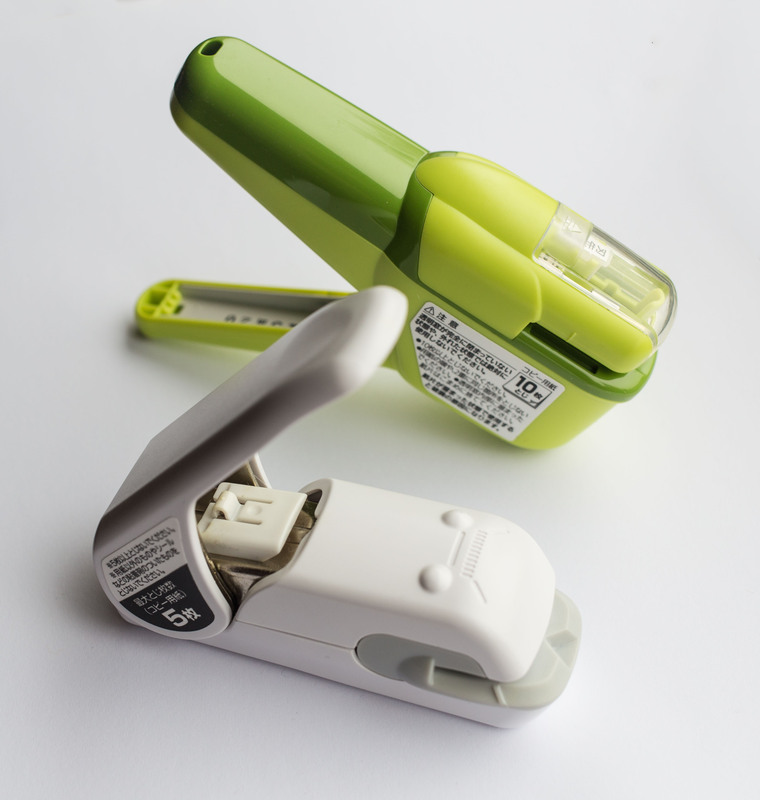 This green stapler, also available in other colours, is the SLN-MSH110G. It can staple up to ten sheets. When I bought it several years ago it was £7.73, but these days you can get it for £6.14 in the UK and for $8.37 in the USA. This white stapler, however, is my favourite. A few years ago I paid £9.79 for mine. It also got cheaper. It’s now £7.20 in the UK and $9.25 in the USA. It can only hold five pages, but they are crimped together, so it doesn’t look that bad if they somehow get detached. To watch the video about the staplers in 4K please open it in YouTube. I have one of these – it’s really very good – much better than the 3 paper “no name” one I got free from a trade fair. I’m glad I bought it — it only binds five sheets, but it’s pretty handy. It’s also a little more simply designed than the Kokuyo one, and has a flat end so stands upright on my desk. 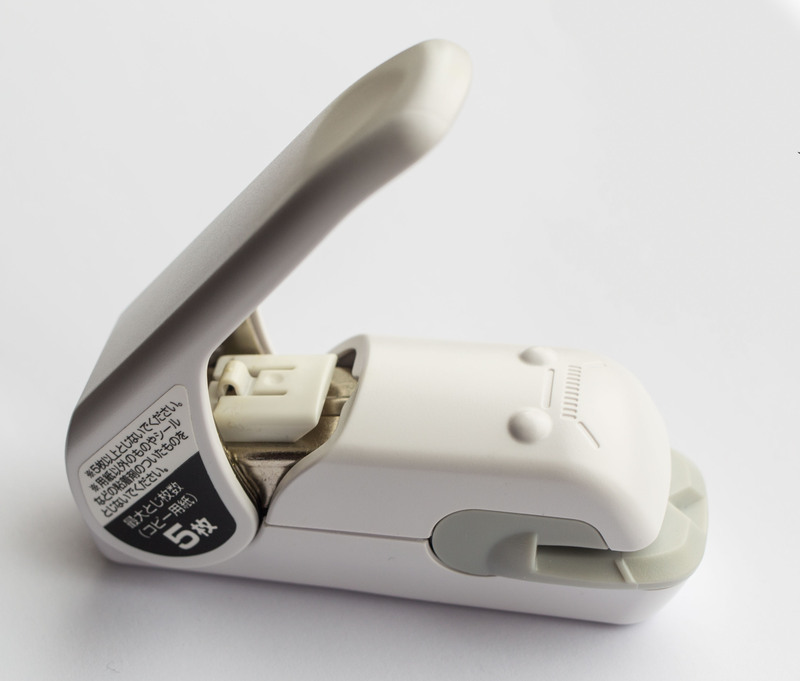 Here’s a photo of the Muji “stapleless stapler” itself, and one of the binding it produces. I’m not an expert, but it looks to be the same mechanism of action as the Kokuyo one. I wonder if they’ve licensed the technology or patent, or if it’s just a straight rip-off? Amro, I also find the Harinacs better than the no name ones I know. I wish they’d be even better so that they can be a true replacement for staples. Koralatov, I had a look at the photo. There is a Harinacs model with a similar looking lever. 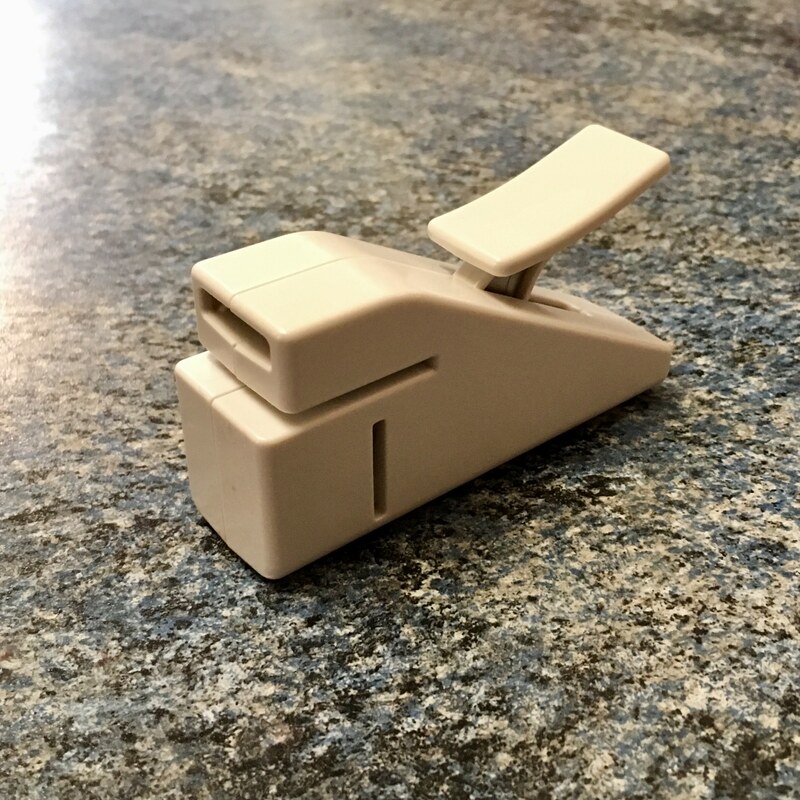 Stapleless staplers have been around for more than 100 years, so I wouldn’t be surprised if patents etc have expired and new technology is not different enough to get its own patent granted. I don’t remember seeing stapleless staplers in Muji, which is a shame. They are not that easy to get here in the UK, so it might sell well.